In recent news, the latest Weekly Shonen Jump issue confirmed that Naruto and Hinata will be able to perform a Combination Ultimate Jutsu in Naruto Shippuden: Ultimate Ninja Storm Revolution. 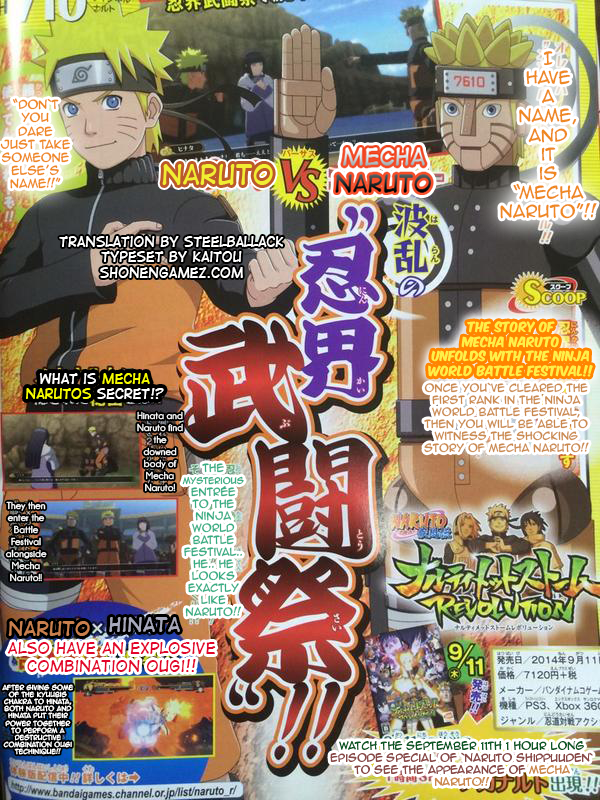 Additionally, we get more information on Mecha Naruto, and his relation with the newest mode, Ninja World Tournament. Well hopefully that scan will be about Juubito DLC. hell yeah!!! NaruHina for the win!! !